The highly anticipated new novel in the New York Times bestselling The Search for WondLa series. Before the end of The Search for WondLa, Eva Nine had never seen another human, but after a human boy named Hailey rescues her along with her companions, she couldn’t be happier. Eva thinks she has everything she’s ever dreamed of, especially when Hailey brings her and her friends to the colony of New Attica, where humans of all shapes and sizes live in apparent peace and harmony. But all is not idyllic in New Attica, and Eva Nine soon realizes that something sinister is going on—and if she doesn’t stop it, it could mean the end of everything and everyone on planet Orbona. 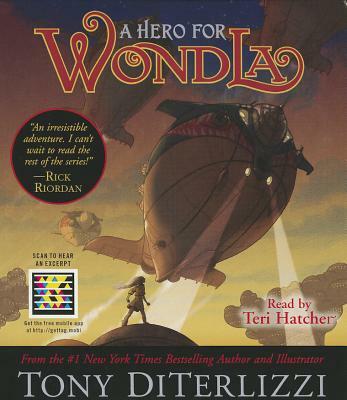 Introducing a host of remarkable characters that reinforce the importance of friendship, A Hero for WondLa has all the hallmarks of a classic book—of the future.